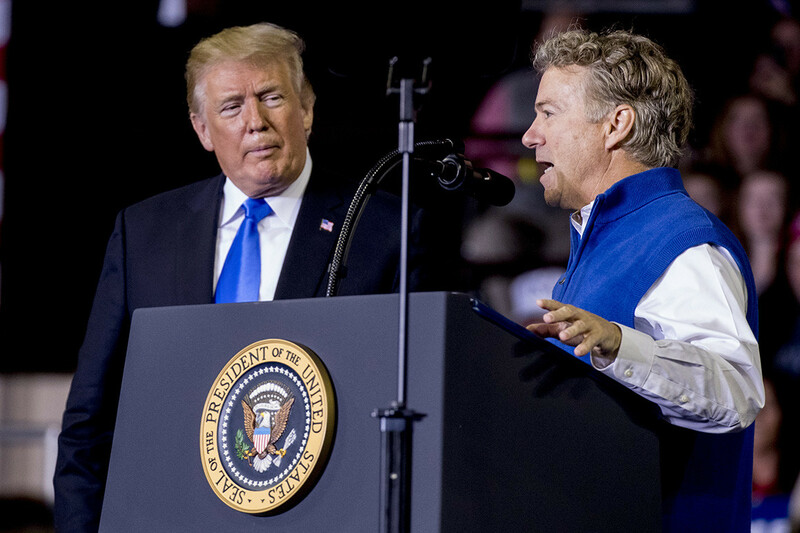 Sen. Rand Paul strongly recommended that President Donald Trump is ready to start scalding the US presence in Afghanistan and will follow his promises to withdraw from Syria, the Republic of Kentucky told reporters Wednesday. Paul met with Trump privately and in a major meeting with other senators on the president's plans to settle the US's presence in Syria. While Paul would not talk more closely about Trump's plans, he said the president acknowledges "we have been at war for a long time and in many places." "I am not only following through his Syria policy, I am again ally believe that there will also be changes in Afghanistan," Paul said in a conference call with journalists. "Generally, the idea is that we should do things differently. We don't want to stay forever. The Afghans have to step up." "It's not that we won't do anything … we'll probably be there longer than I would like, "said Paul. "The president recognizes that America's longest war has to come close." A daily play-by-play of congress news in your inbox. By registration You agree to receive newsletters or warnings from POLITICO. You can unsubscribe at any time. Most GOP senators have pushed the president to do the opposite: Lower the withdrawal from Syria and hold a large presence in Afghanistan. These hawkian senators, some of whom participated in the major briefing with Trump, have made the case that the Islamic state and other terrorist groups can fill the vacuum back when the United States withdraws. A terrorist attack in Syria that killed four Americans on Wednesday also raised fears among gop hawks that the planned expiry could be emboldening terrorists. But Paul said that Trump recognizes that he still has to fight terrorism, even when bringing home US troops. "We talked a lot about Syria, he talked about how we will continue to ensure that ISIS is not a problem," Paul said. "At the same time, we won't be in these places forever."